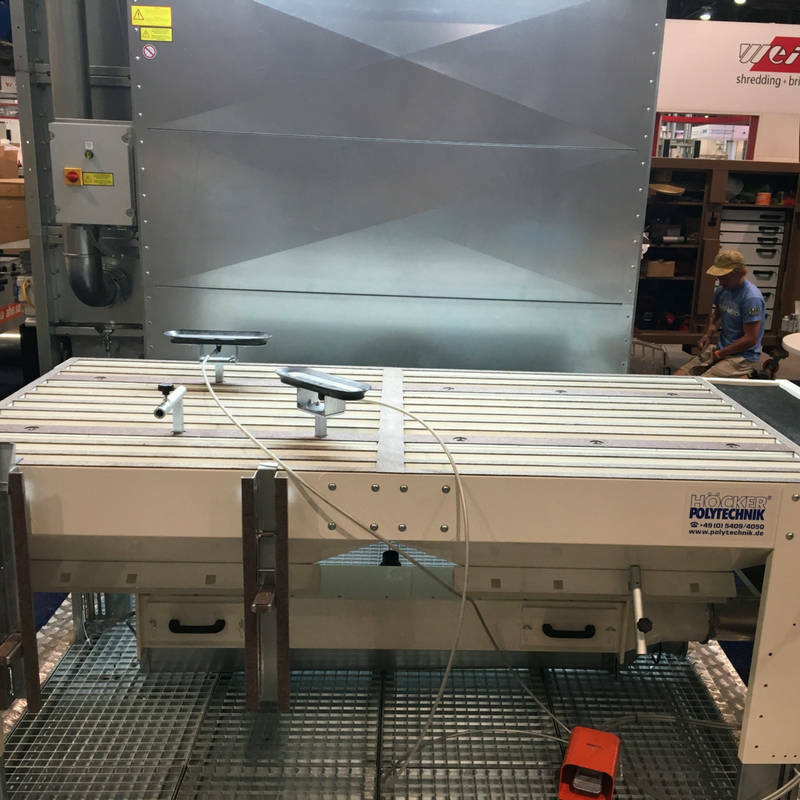 Why Choose a Sanding Table from Hocker North America? 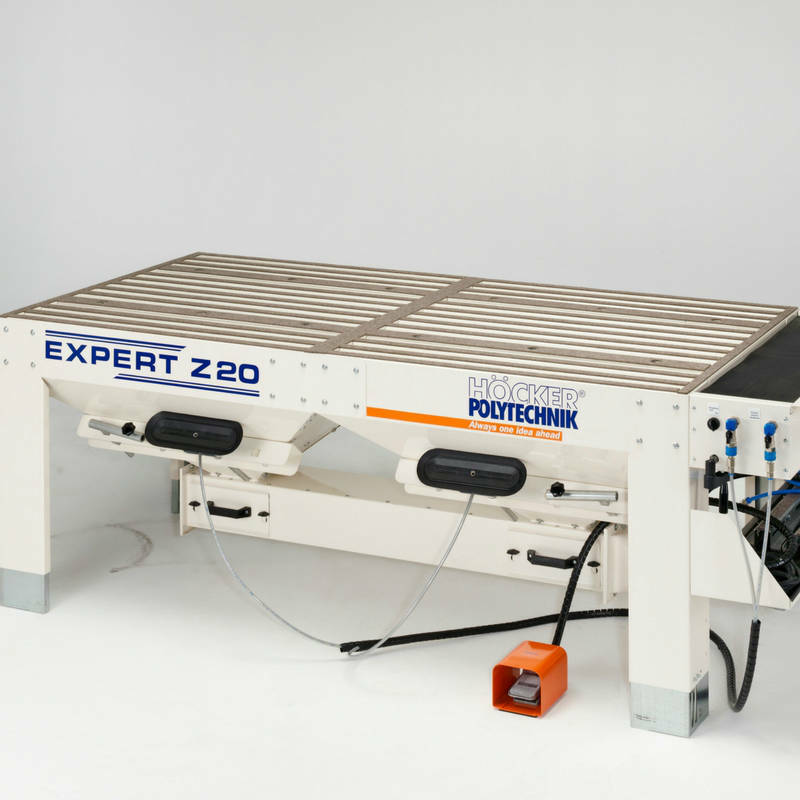 The energy saving version of a connection at the main extraction plant or mobile deluster is the sanding table Expert Z 20 or Z 30— with a working width of either 2 or 3 meters. The suction adaptor can be arranged alternatively on the left or right side of the unit. The Expert Z sanding table reduces dust concentration to a minimum. In connection with an automatic blast gate, the suction is only activated when necessary. The moderate volume of the required air saves not only energy, but also reduces the noise pollution during operation. The Expert Z features an Ergonomically Designed handle, allowing the table to adjust to the ideal height for the craftsman, promoting a safe work environment for your staff. Instead of the Compressed-air-driven Vacuum Generator (compressed air consumptions approx. 50NL/min) an Energy-Saving Vacuum Pump can be Supplied.